As hospitals and healthcare systems move toward establishing “meaningful use” of electronic health records (EHR), one of their primary objectives remains engaging patients and families in their health care. 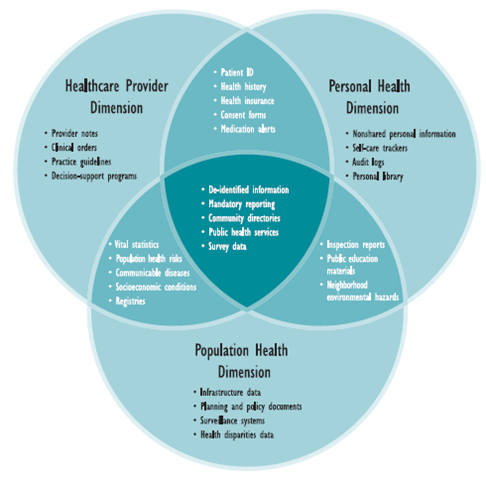 Personal Health Records (PHR) and related technologies can further this objective. While an EHR is maintained by an institution, a PHR contains health data that is curated by an individual patient. The intention of a PHR is to provide a complete and accurate summary of an individual’s medical history which is accessible online. PHR data can be accessed via a free standing vehicle, as in the soon to be defunct Google Health, or in a format that is linked to an existing EHR. Instead of requiring patients to be data entry clerks, we should encourage (require?) healthcare technology vendors to agree to common data formats and use rules that would allow information to automatically flow from doctors’ offices, labs, and hospitals into patient’s personal health records. At the same time, we must recognize that some information is best conveyed in person by experienced medical professionals. Just because we can send information instantly doesn’t mean it’s always a good idea to do so. The automatic flow of data would make these systems far more user friendly, especially to the elderly and sick. Freed from data entry duty, the health records software could focus on presentation of information with better graphics. We need to make visualizing healthcare information easier and therefore easier to understand. We need to alter privacy rules so physicians can safely respond to patients’ email questions while protecting sensitive information. Telephone use norms emerged slowly, eventually encompassing even cell-phones. Emails via healthcare-system websites are considered safe, but all other emails travel on legal quicksand. Insurance companies will have to figure out how to reimburse doctors for reviewing and responding to patients’ emails. When patients view their information via the internet, they are going to have questions; and not every question requires an office visit. The same process that provides instant information can facilitate fast responses. Assuming that these road bumps can be overcome and patients seize the opportunity to access their personal health record, how does the information become actionable and not a lifeless repository? Perhaps, the time for a true revolution…not just evolution, has arrived.